Donna Barton doesn't know exactly how much money she has saved the Veterans Affairs Department, but she's fairly confident it's in the tens of millions of dollars. "It could be in the billions by now," the 65-year-old registered nurse said with a laugh. "When you take in all the services I've provided for free for decades … there's just so much involved." For 40 years, Barton has served as primary caregiver for her husband, Brad, whose spinal column was severed by a mortar round in Vietnam in 1968. 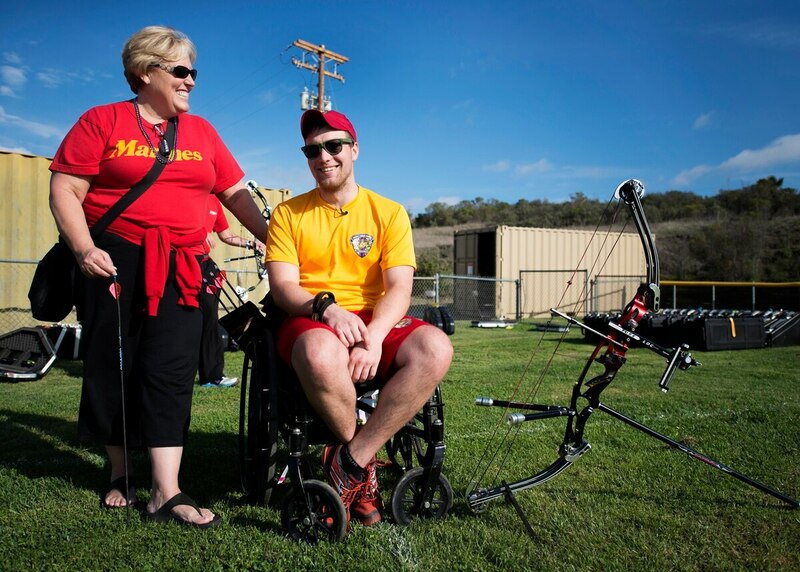 The Marine Corps veteran has been confined to a wheelchair since, but not confined to a nursing home thanks to the medical and emotional support from Donna. Now, she wants some relief from VA — and Congress. Barton will be on Capitol Hill this week with other representatives from Disabled American Veterans, pushing for caregiver assistance for veterans of all eras, arguing that the cost would be just a small fraction of the valuable service they have provided. VA currently awards monthly stipends of around $2,300 to about 7,000 spouses and loved ones who provide health care assistance to injured veterans — all of them injured in the wars after Sept. 11, 2001. Congress approved the program in 2010, in response to the financial stress being put on families of young wounded service members returning from war. Joe Violante, national legislative director for DAV, said the move has caused a rift within the veterans community among those who have been providing that care for decades, usually with no training or assistance. "We need to find a way to expand those benefits at least incrementally, taking care of the veterans [from earlier wars] who are the most severely disabled," he said. Last year, White House officials announced plans to expand military caregiver assistance programs, including more peer support groups at bases and free legal services to affected families. But those initiatives were aimed largely at younger caregivers, and don't provide the same financial benefits or medical assistance of the post-9/11 offerings. Barton said she has provided around-the-clock care for her husband, even while holding a full-time job. That has meant waking up early to help him into the shower, running home at lunchtime to cook him meals, scheduling her work day around when he needs to get out of his wheelchair. "Sometimes, you need a break too," she said. "And we're lucky because of my training. Many of these spouses don't always know the best way to care for their veteran." A study by the Rand Corp. last year estimated that veterans' caregivers nationwide save taxpayers about $3 billion a year through their free services. Legislation to expand the caregiver program was introduced last year, but floundered in Congress due to the potential cost. Barton said she hopes sharing her family's story will help change lawmakers' minds. "We were all so pleased when they passed the new caregiver benefits," she said. "I really feel the program is tremendous. But it should have been here a long time ago, and it's not equal for all veterans."